Good stewardship is important for everyone, including small- scale farmers. Using best management practices can protect the environment. These practices can also improve the health and well-being of your animals and increase your farm’s profits. The first step is to evaluate your farm. By adopting management practices suited to it, you can protect your investments as well as the environment. Small-scale farms make up 94% of the farms in the United States. They contribute significantly to the nation’s food supply and to local economies. They strengthen rural communities and contribute to a diverse and pleasing rural landscape. identify likely pollution sources and their possible effect on the surrounding environment. The Small Farms Environmental Stewardship Check List on page 10 can serve as a starting point. Overgrazing pastures; applying too much manure; giving animals free access to streams, ponds, wetlands, or marshes; mismanaging manure; and allowing excessive erosion can reduce water quality. The following seven pollutants and/or nuisances are commonly found on small farms: manure, eroded soil, bacteria, odor, ammonia, dust, flies, and rodents. Can be sold as a farm product if properly treated (Figure 1). 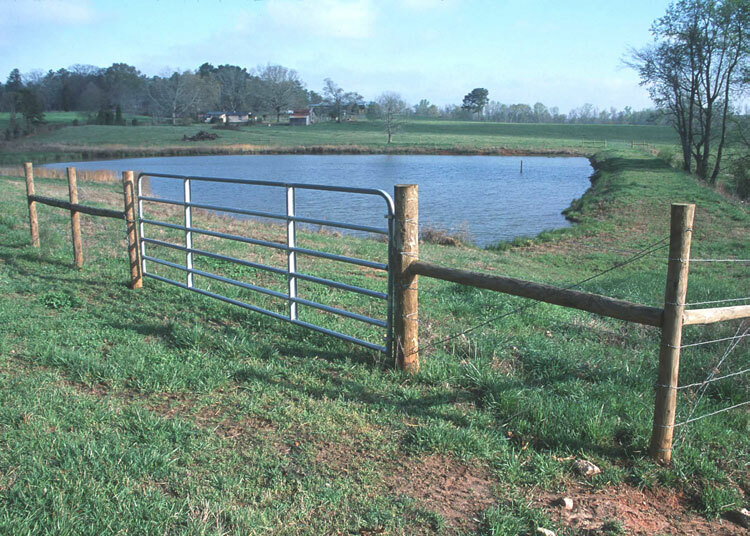 When grass is not main- tained on pastures, eroded soil can wash into streams and ponds. Soil can also be washed from crop fields that are not protected with erosion control practices. Disease-causing bacteria found in manure and dead animals can enter streams, ponds, and wells. Poorly managed animal barns, stored manure, manure- spread fields, or poorly managed pastures can cause odor. Ammonia nitrogen, a gas, is released from manure. At high levels, ammonia can cause animal and human health conditions. Even at low levels, ammonia can affect both animals and humans. Rainfall can return ammonia nitrogen to the earth where it can cause poor water quality. Ammonia nitrogen gas from manure can affect both animals and humans. Small dust particles in the air can bother humans and animals and be a nuisance when they settle. They can also cause health conditions when they are present in high amounts and for a long time. Besides being a nuisance, flies can transmit diseases. Rodents like rats and mice can transfer diseases to other areas of the farm or nearby properties. The type, size, and numbers of animals affect the amount of management required for your farm. 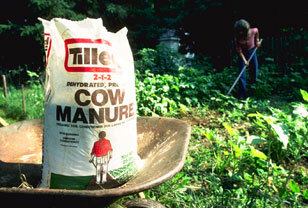 amounts of manure that must be managed. Keeping too many animals on too few acres causes most of the water quality damage on small- scale livestock farms. on a small farm while also protecting the environment, improving animal growth, and increasing farm profits. Farm animals should not be able to enter streams or rivers (Figure 3). In most cases, even ponds should be fenced off (Figure 4) and a tank used to water the animals. Grass strips, or buffers, should be present between fields where manure is applied. 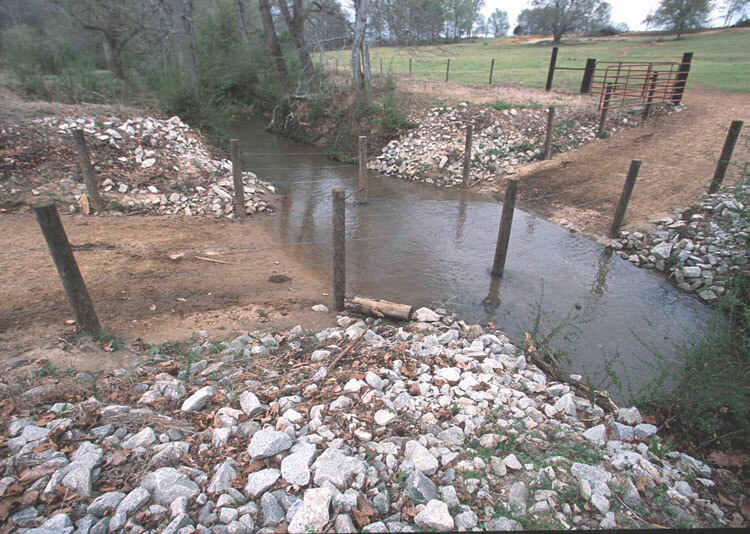 Grass buffers should also be used around streams and ponds to filter the soil washed from fields (Figure 5). In areas where the water table is close to the surface, farmers must ensure that polluted water does not seep into water wells used for humans or animals. Sandy or gravelly soils do not absorb water well. Pesticides, fertilizer, and manure can easily filter through the soil to wells and to streams and ponds. Clay soils absorb water slowly, so fertilizers and pesticides can wash off of fields during heavy rains. Pesticides, fertilizer, and manure can easily filter through sandy soil and wash off clay soil. Loamy soils filter out pollution and absorb water well. Generally, very little soil washes directly or filters into water wells. 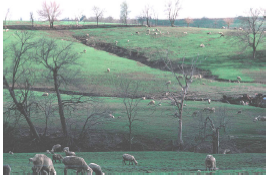 Hilly pastures often erode and lose soil and fertilizers. High rainfall increases the chance that pollutants will enter nearby water sources. During rainy seasons, take steps to prevent pollutants from wash- ing into nearby ponds or streams or seeping into wells. If neighbors live close to the farm, take steps to reduce nuisances like odor, dust, and flies. In general, BMPs are management practices or procedures that protect the environment and maintain or improve the farm’s profits. To be most effective, BMPs should be used for a long time, thus maintaining the farm’s value. Best Management Practices are management practices that protect the environment and maintain the farm's profits. Plant grass buffers to filter runoff from barns, pastures or cropland, and manure storage areas. 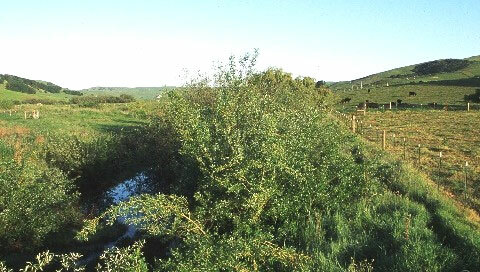 given access to streams or ponds to obtain water, the access should be limited to areas where the banks have been reinforced. To become a more responsible steward of your land, learn about, plan for, and carry out BMPs. For help and infor- mation, contact your Cooperative Extension office, USDA Natural Resources Conservation Services office, or Soil and Water Conservation District office. Local numbers for these agencies are in phone directories; look under your County Government or United States Government, Agriculture Department. Small farms are an important part of American agriculture. As the steward of your farm, are you aware of and do you use environmentally sound practices? Read each question and check the appropriate box. Mark Rice, Extension Specialist, North Carolina State University, can be reached at 919-515-6794 or mark_rice@ncsu.edu. The author wishes to thank Marion Simon, Kentucky State University, and Peter Wright, Cornell University, for their review of this fact sheet. 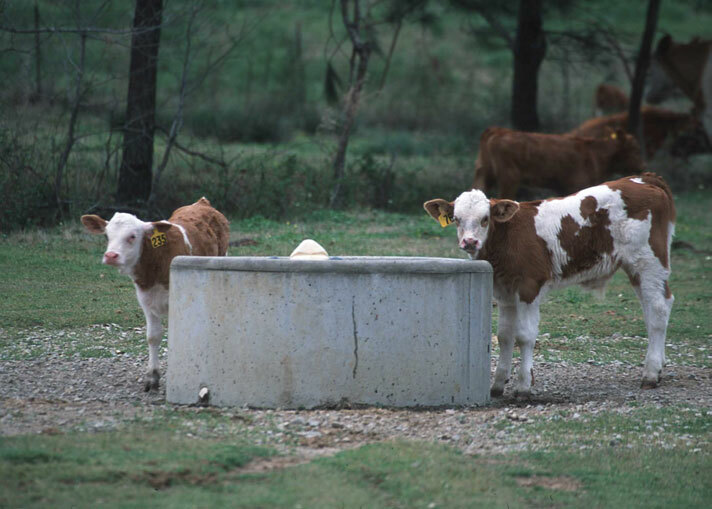 http://www.oznet.ksu.edu/kles/–To view the Kansas Livestock Environmental Stewardship Online Assessments.